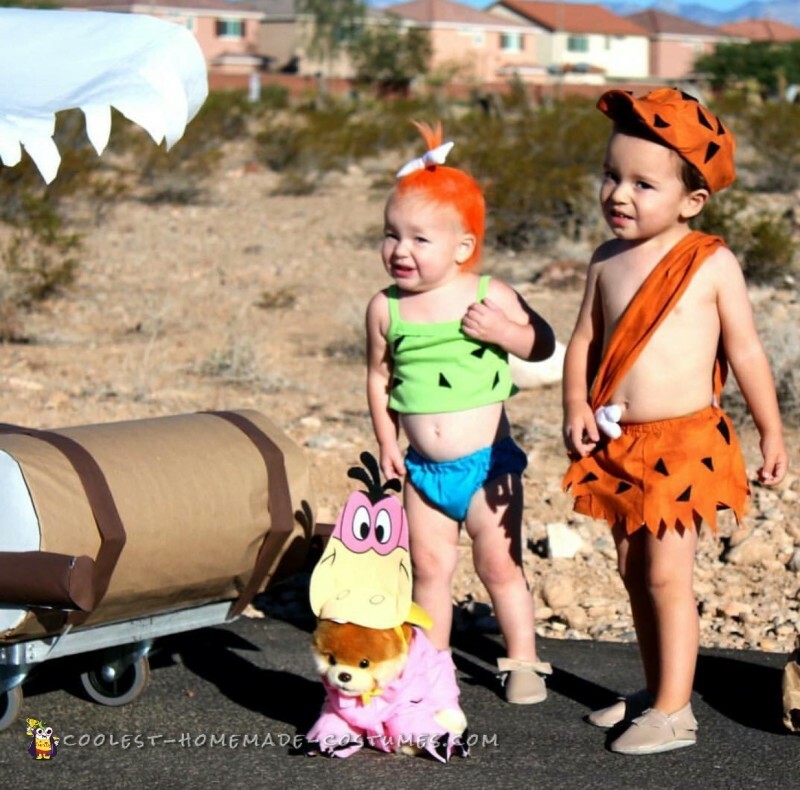 We had been wanting to do this ideas since out babies met each other, unfortunately Pebbles didn’t had hair and it took her a while. Luckily for us she got a good amount of hair right before Halloween so we knew he had to go for it. Bamm Bamm’s outfit was made by grandma and Pebbles outfit was a diaper cover and a trimmed tank top. 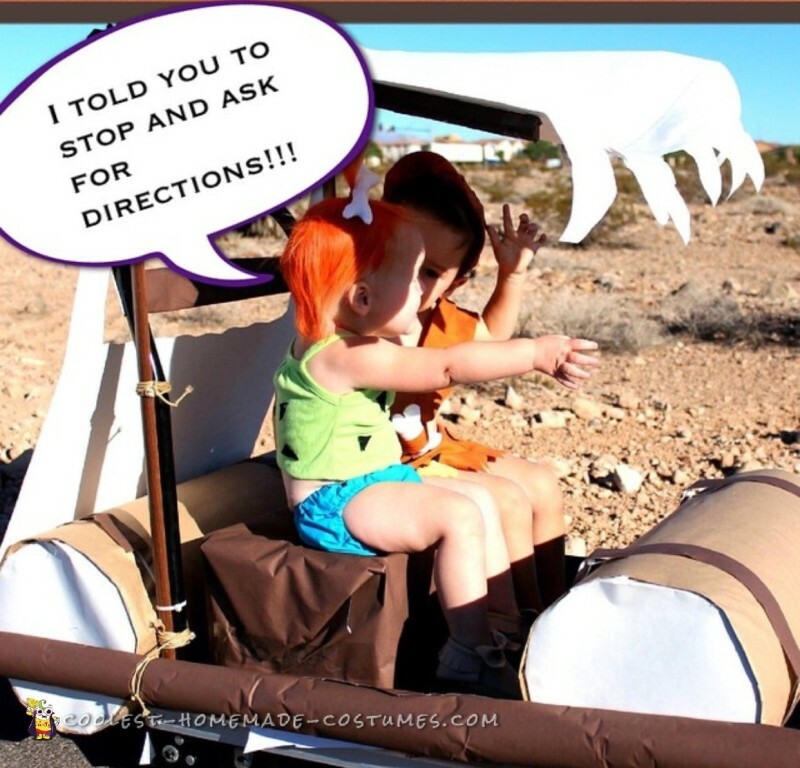 Of course we couldn’t just leave it with those simple outfits, we dyed pebbles hair and funny thing is that she had color on her hair for at least one week after since her hair color is almost white. 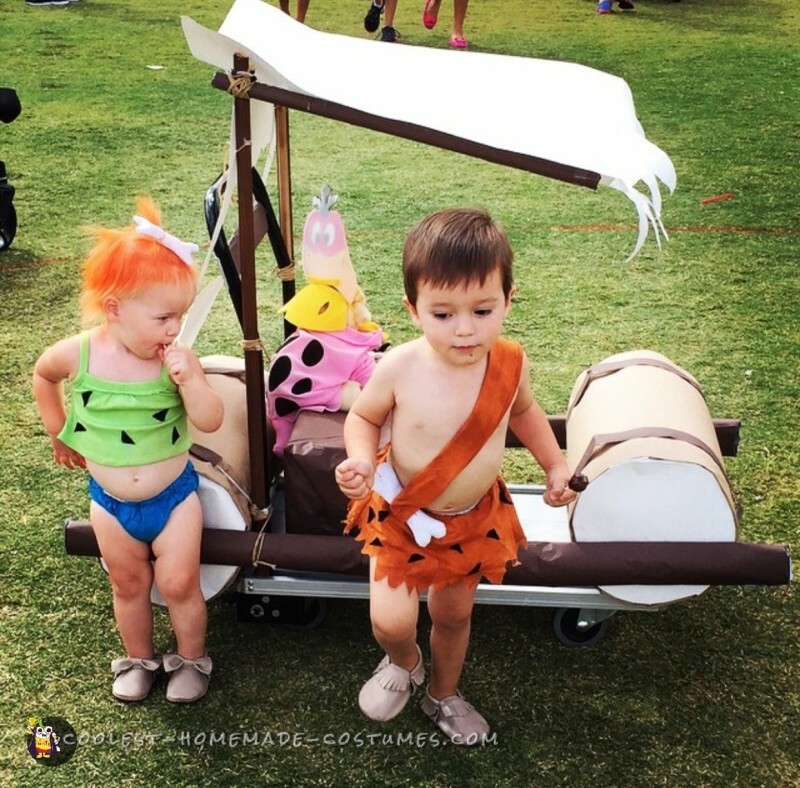 We decided to add the wow element with a fully functional Flintstones car, than was so light yet sturdy that Bamm Bamm was able to push around with Pebbles in it. We used only items easily available and not expensive at all. I had a flatbed dolly that was the frame, the wheels were big bottles of water covered by brown shipping paper, we used zip tags and sticks to put all together. We also used pool noodles to connect the wheels and the seat was an empty diaper box wrapped with brown paper. 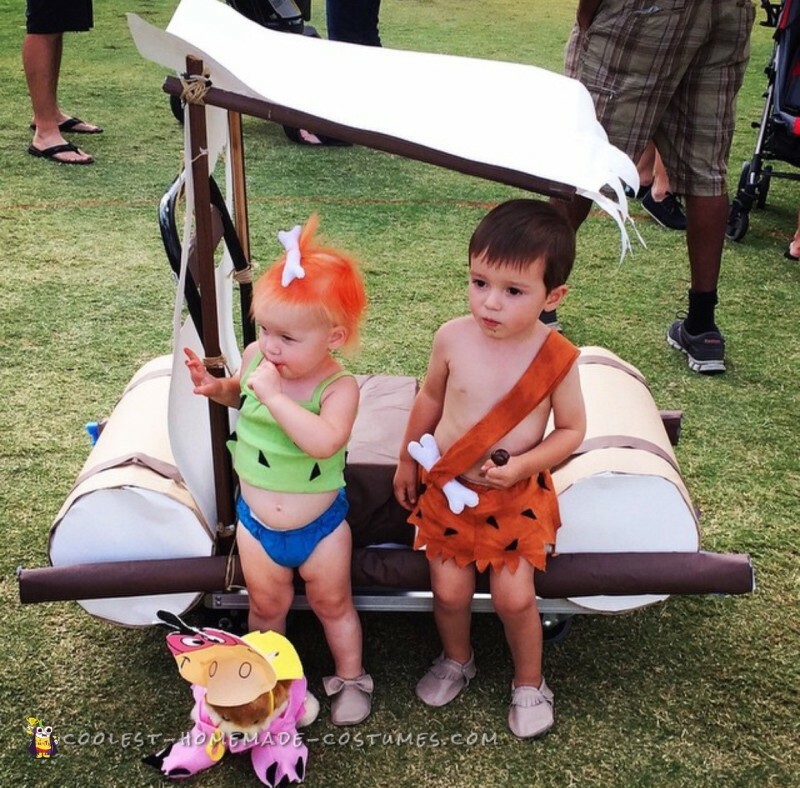 It took me and my best friend (Pebbles’ mom) about 2 hours to put together, and every time we took our kids to a Halloween event everyone was simply amazed by the whole thing. 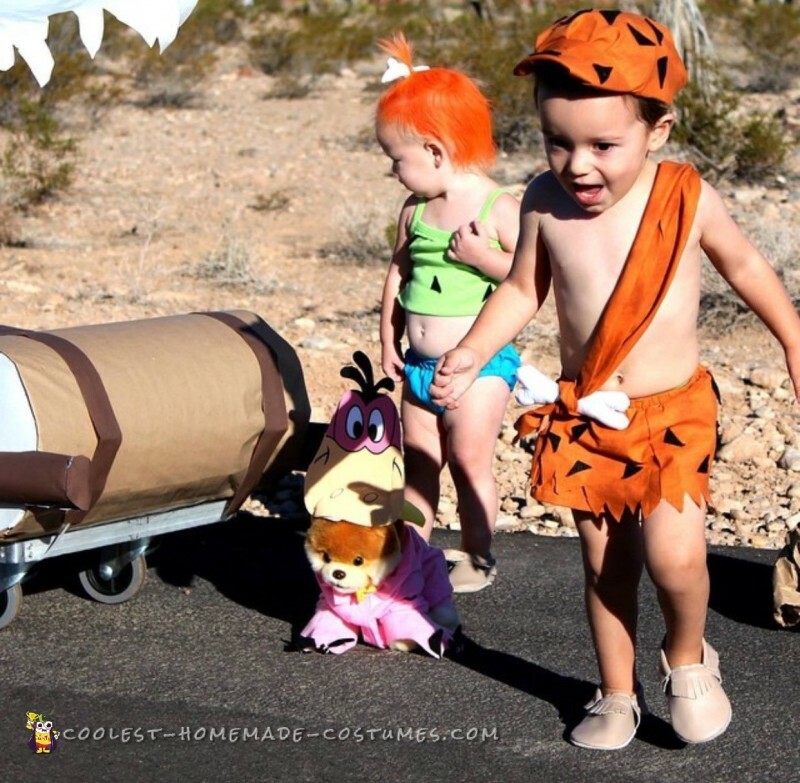 Oh we also used Bamm Bamm’s lovey as Dino. They won the two contest in town we took them to and we’re just the cutest.